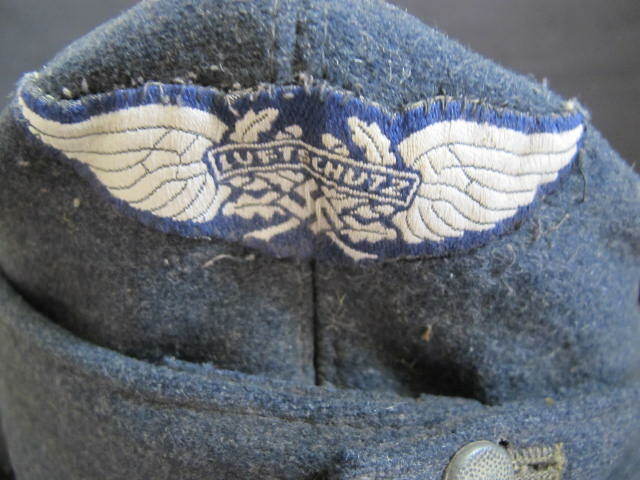 Last ditch issue 1944-45 Luftschutz M43 ski cap. 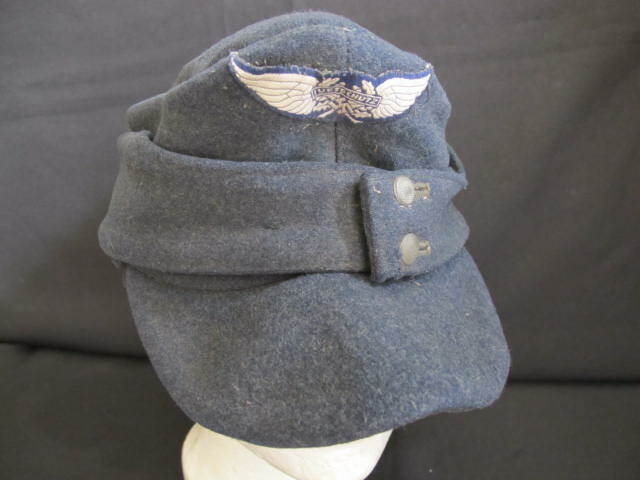 Heavy blue/grey wool construction with blue cloth lining. 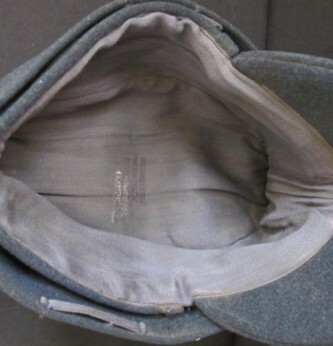 Makers stamping to crown of cap but worn from service wear. 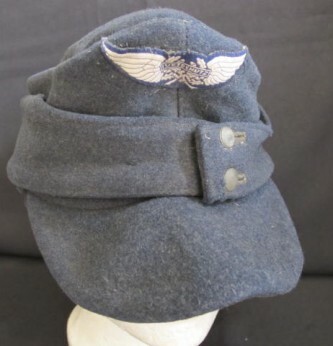 As issued to the German Air Defence units defending Berlin and other German towns towards the latter stages of WWII. 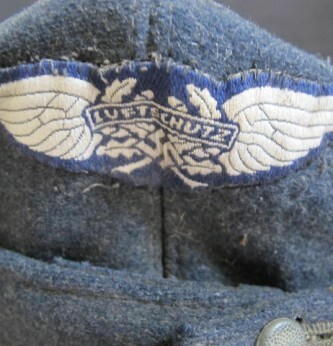 Bevo Luftschutz badge to front. 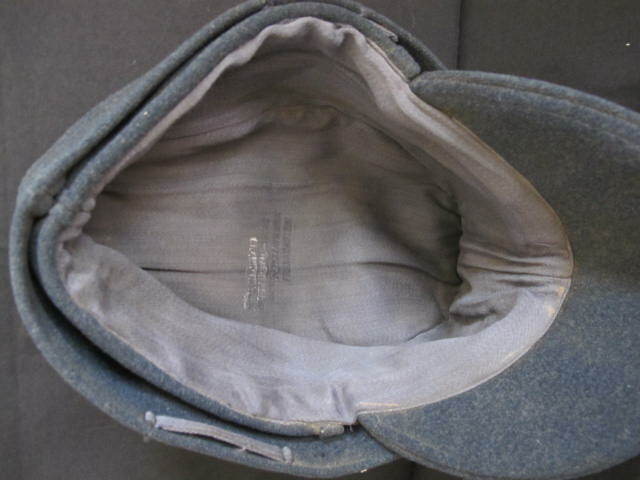 Two button pull down sides. Nice overall condition.